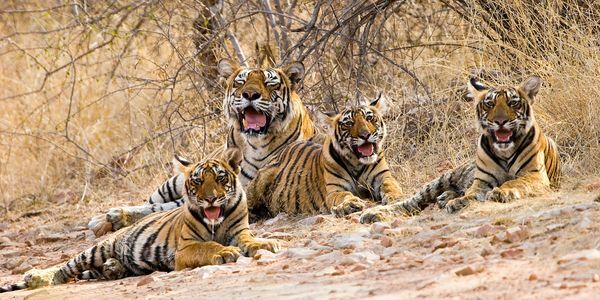 Of the great predators, one of the most endangered is the iconic tiger. With a total wild population of less than 4,000 spread throughout the entire Asian continent, these cats walk a thin tightrope of survival. Tigers aren't disappearing into thin air, they are being pushed to the edge of extinction by organized crime syndicates, poachers and traffickers that profit off their corpses. That's why it is paramount that governments like the United States create strong legislation that works to battle these organizations and the destruction they cause. Enter the Wildlife Conservation and Anti-Trafficking Act of 2019 (H.R.864). The newly introduced legislation would bolster our current anti-trafficking regulations by giving more power to federal agencies to fight poaching and wildlife trafficking. When China threatened to lift the ban against using rhino and tiger parts in traditional medicine, conservationists braced themselves for what could have only been a new open season on these incredible animals. Fortunately, China has backed away from their plan — for now. But there are no guarantees that the ban won't eventually be lifted. It is now more important than ever to strengthen our nation's laws against trafficking and that's why the Wildlife Conservation and Anti-Trafficking Act is so crucial. Tell the U.S. Congress you support this important bill. Please sign the petition and tell Congress to pass H.R.864 today.